Expressly amazing value!3br's, 2 living spaces, 2 baths, updated townhome!The outside is just as extraoridinary as the inside! 2 of the 4 new patio doors walk out to a 25' deck while the other 2 walk out to a private paver patio with treed views. 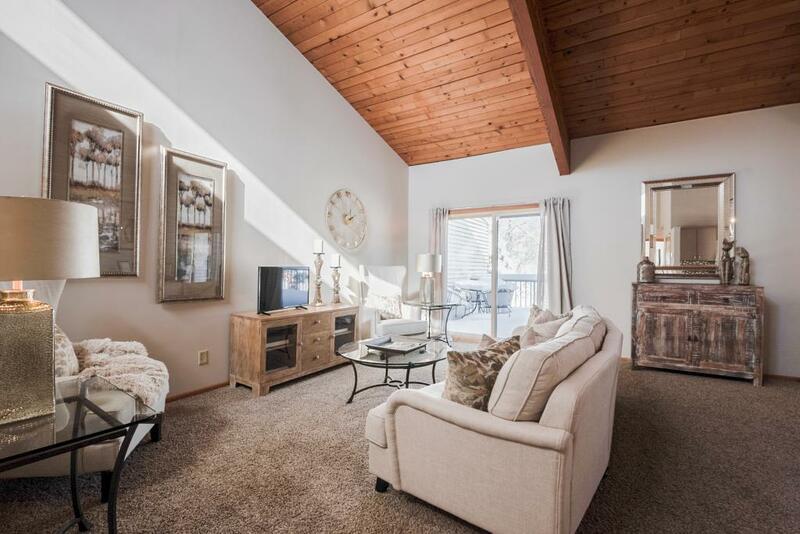 Inside the 20' soaring cedar wood beamed vaulted ceilings create an exceptional look, both baths have been completely redone, upper br's boast lg w/in closets, master has h/w flrs, rear foyer has space for hooks, bench, lockers-wow!